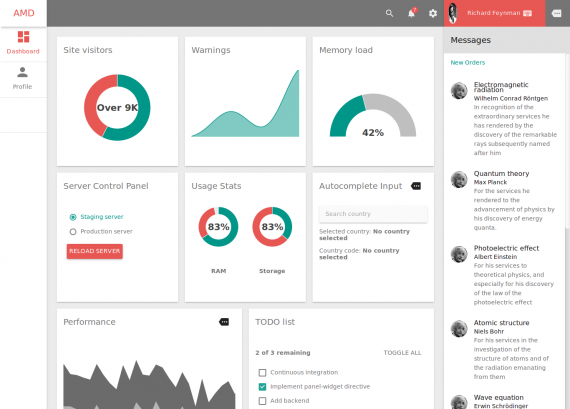 Responsive Angular admin dashboard with material design based on Angular Material. It’s open source that means you don’t need to purchase it. this is jus what i wanted…!! Very clean and symantec angular material theme. Thanks for sharing.